Last year, I've been to Vigan City in Ilocos Sur and visited for the first time the Heritage Village, one of the popular tourist destinations up north. 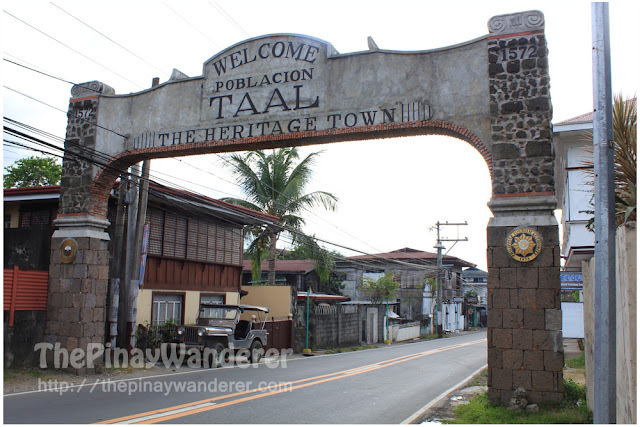 I went to Vigan to see the vintage houses in the Heritage Village not knowing that in my home province, we have our very own Heritage Town: Taal. Taal is one of the 34 (3 cities included) towns in the province of Batangas, a 3rd class municipality belonging to the first district of the province. 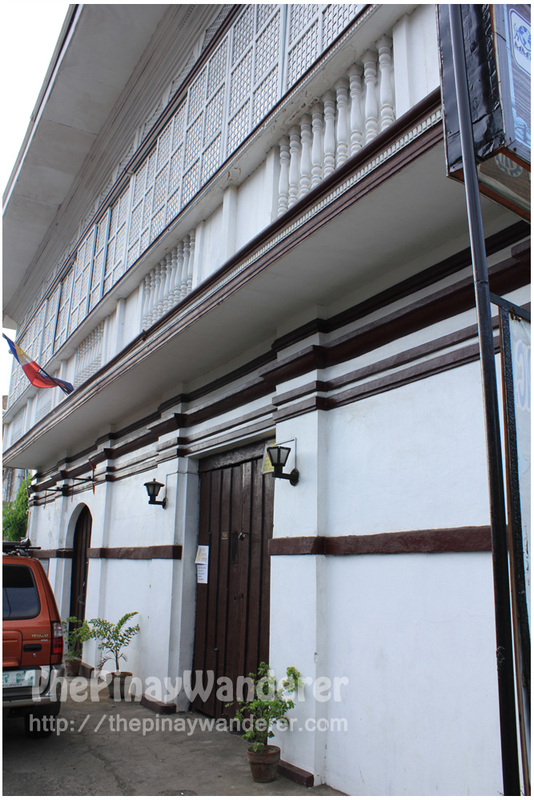 It was declared a heritage site; that is, a portion of this town or the Poblacion area was declared a heritage site (as seen on the marker) by the National Historical Institute. I'm searching for the date when this town was declared a heritage town but so far, I can't find one (google failed this time..hehe!). 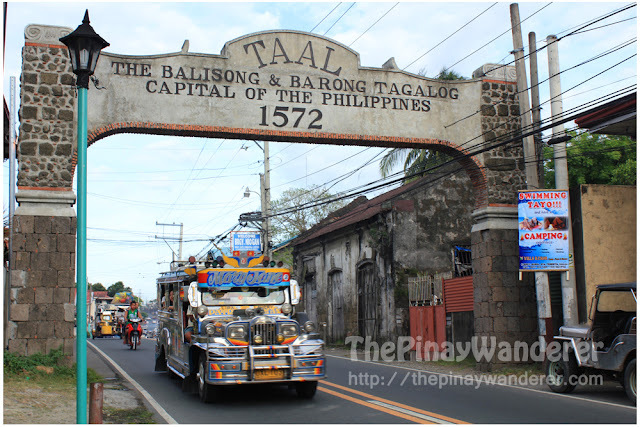 Taal is known for its balisong (fan knife) and Barong Tagalog and was declared as the balisong and Barong Tagalog capital of the Philippines. Several weeks ago however, I've read from a Yahoo post that burdang Taal (Taal's embroidery, an embroidered cloth used for making Barong Tagalog) is now a dying craft. I just hope that it's not true; that the local government do something about it; that they do try to preserve this embroidery industry which shows the Filipino craftsmanship; that it continues to be passed on from generations to generations. I hope! Aside from this craft, Taal is also known for some famous Taalenos like Marcela Agoncillo, the maker of the first Philippine flag that was raised during the proclamation of Philippine Independence in 1898. 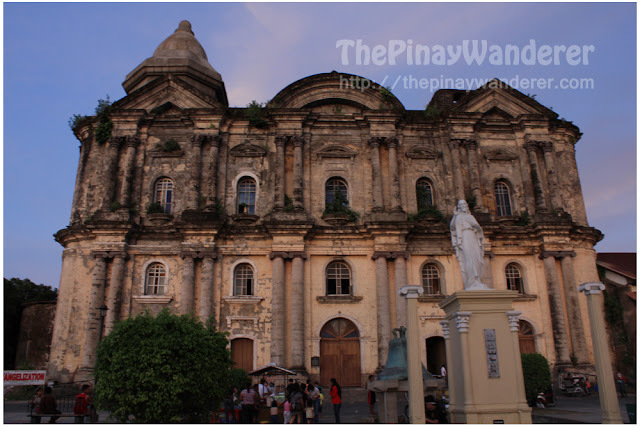 Further, Taal is where the biggest church (read it on the net) in the Philippines is located, the Basilica de San Martin de Tours or more popularly known as Taal Basilica. As I wrote in my previous post, we were not able to attend mass in Our Lady of Mt. Carmel Church so we continue our road trip here in Taal. We arrived in the Taal Basilica at exactly 5:00PM, just in time for the afternoon mass which is the only scheduled Sunday afternoon mass that time. At the sight of the church's interior, I was amazed at how big this church is. It's really huge, its columns as wide as a human's arms spread sideways, maybe around 2 meters. The mass is about to start so I wasn't able to take some photos of it. And because it was a Sunday, a lot of people were there to attend the mass. I saw some tourists too, local tourists that is, based on their looks and the the cameras hanging on their neck. WOW! Thanks for this post! 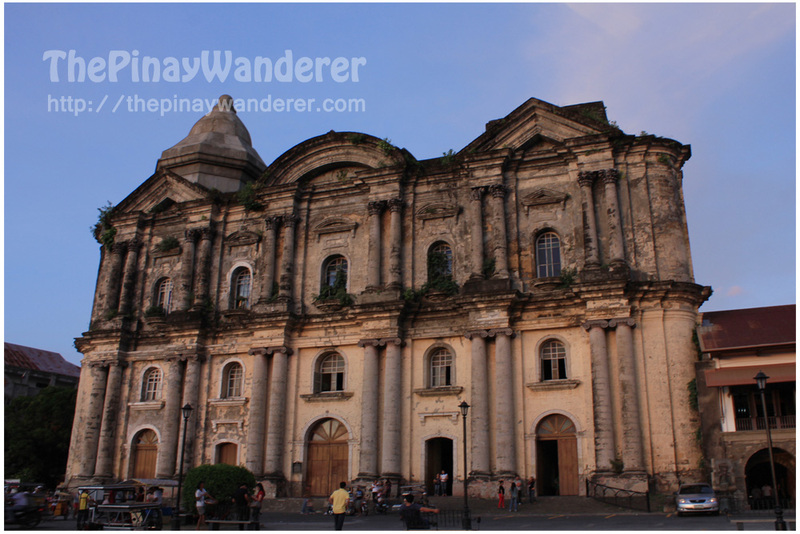 I would never know that there's a heritage site in Batangas. Ang sarap puntahan! Ganda talagang kodakan ng mga lumang building like churches... yong texture and color, ibang klase...Mag-aaya ka naman hehe Asan na balisong? Nag-uwi ka ba? Alam mo nakapunta ako sa Batangas January 2011, pero di ko alam na may heritage site sila..hehehe..Thanks for sharing at least now alam ko. Ganda ng mga shots mo at ang angle is perfect. Punta na ng Taal, tas daan ka ng Tagaytay at mag-food trip na rin kayo dun...hehe. kakatuwa naman tong docu mo, complete with well researched facts and photos, see you soon!! 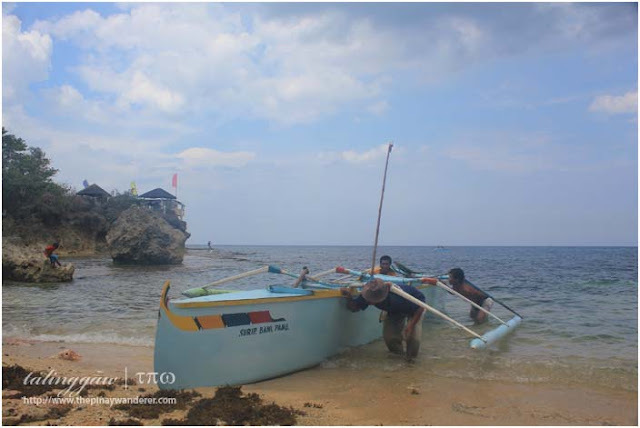 Ibalik mo na lang blog ko sa regular blogroll mo, marami pa ko kakainin at kelangang travel para marating level nila chyng, nagpi-feeling lang ako dito..hehe. At wagas ka naman maka-docu, naku po, unting info lang yan, maka-well researched ka nman, hehe. yes!! dot com na cya..hehe congrats TPW..
hahaha, salamat GB, dot com ka na rin...hehe! File na ng leave Edmar, byahe na...hehe. Isama mo naman ako sa sunod na road trip mo. Kahit saan pa yan sasama ako. Ang ganda talaga ng mga heritage towns. Kaya gusto kong marating ang Vigan dahil jan.
Wow! 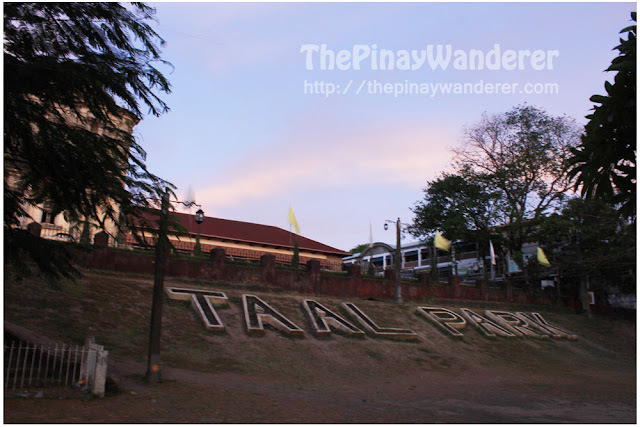 I would love to see Taal Basilica! Thanks for the bonggang facts and info! Haha, wagas ang comment mo, bonggang facts & info eh unting info lang ang nandito. Kulang ang data ni google di ko makita date ng declaration of Taal as heritage town, pero baka lang din ala akong tyaga, ang dami kase binigay na result ni google eh...hehe. Ang ganda - I first saw this sa kris TV ata and theres more pala. At yung embroidery industry sana mapasyalan ko bago mahuli ang lahat :) Thanks for sharing. biggest church yan sa asia? ikinasal dito sa Basilica ang isang kaibigan. dahil alipin ako ng trabaho hindi ako nakapunta. sayang. Hi fellow Taaleña! Let's keep promoting our beautiful town, hehe! Thanks also for checking out my post about Taal. Barong tagalog capital din pala sya. Akala ko balisong lang kasi dami ko nakikita sa daan nagtitinda ng balisong. Also be sure to check out the fun December Fiesta Week 2012 in Taal!